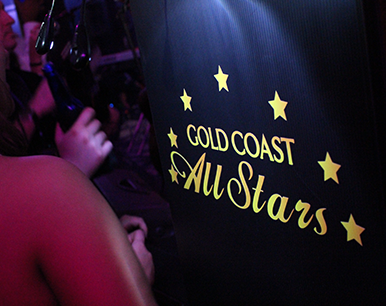 Gold Coast Events was founded to provide discerning event hosts with the utmost in premium entertainment. Our goal is to make your wedding or event more memorable and fun than you ever imagined. 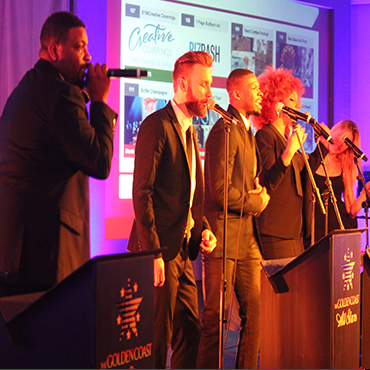 We believe in putting our heart and soul into all our events- the result is entertainment that is fresh, vibrant, never stale and always special- striving to be a true reflection of our clients themselves. 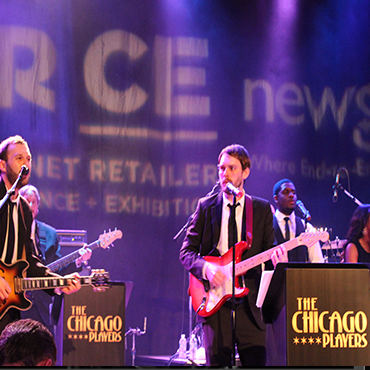 The Gold Coast All Stars and The Chicago Players in Chicago, and The Golden Coast All Stars in LA, have truly redefined what is possible in wedding and event entertainment. Combining true star power, unrivaled talent and energy, and the utmost in taste and song selection, the bands are undeniably cool- and a whole lot of fun! 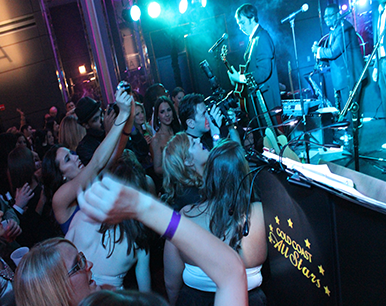 All of these attributes hold true for our DJ/live entertainment roster for Mitzvahs and corporate events as well. 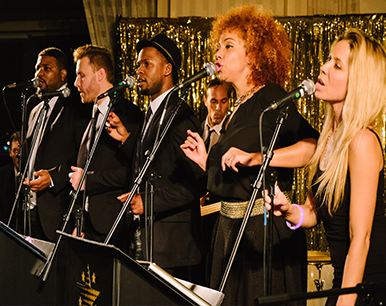 There is simply no other company that does what Gold Coast Events does.From the first song of the night to the last, you can be assured that your event will run smoothly and be in good hands. We look forward to you putting your trust in us to ensure that your occasion will be one that is raved about for months and fondly recalled for years to come. 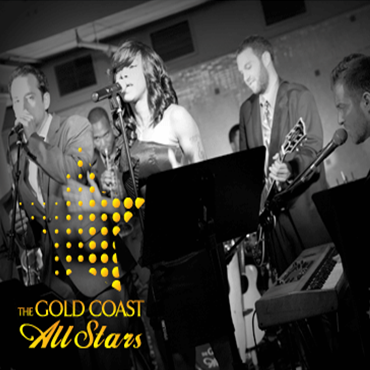 The Gold Coast All Stars were founded by Danny Chaimson, a musician who’s had a truly remarkable career in the entertainment industry. 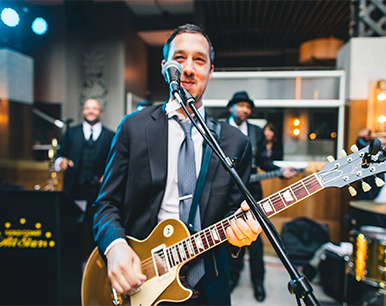 As a solo artist, Danny has performed all throughout the country headlining the hottest clubs and opening for legendary acts like Etta James and The Neville Brothers, as well as current favorites like O.A.R. Eric Hutchinson, and Jem. He’s received great critical acclaim from Esquire Magazine, Keyboard Magazine, The Chicago Sun-Times among countless other publications, and has had his songs featured on NBC’s Parenthood and the smash feature film, The Lincoln Lawyer. His accomplishments as a keyboard player are even more impressive. 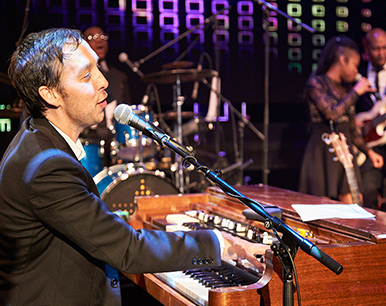 Danny has played keyboards and guitar for the biggest acts in music- jamming alongside O.A.R., Howie Day, George Clinton, Slash, Solange Knowles, Shwayze, Mike Doughty (of Soul Coughing), Jem and many others. That’s not even mentioning the others that he’s shared the stage with. Chances are if you listen to them, Danny’s got a story about his experiences with them. He’s had the privilege of performing at the world’s most amazing venues- from The Fillmore in San Francisco, to Alpine Valley in Wisconsin, to the fabulous O2 arena in London. He’s played on all the talk shows, shaking hands with the likes of Jay Leno and Craig Ferguson, and done countless other national TV and radio appearances. He’s truly a world class musician who grew up on the North Shore, spent years in Los Angeles, and has now moved back to enjoy family life back where he started- in the greatest city in the world- Chicago!